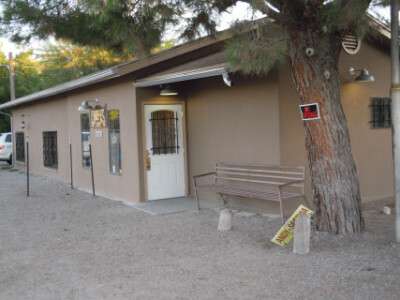 When you approach La Mesa, about 15 miles south of Mesilla on State Highway 28, you get more of a feeling that you are approaching a religious shrine than a small farming village in southern New Mexico. The "holy ground" you are entering is for possibly the best chile relleno anywhere (for once the reality lives up to the hype). 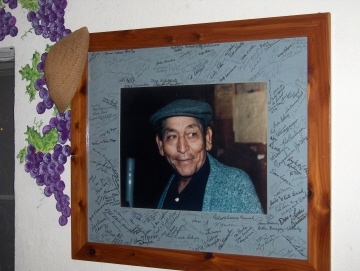 It is much like going to Mamou, Louisiana to experience the very best Cajun music, except in La Mesa pilgrims are given a gustatory reward (unless by some very bad karma or extremely unkind trick of fate they end up in La Mesa on a Sunday or Monday when Chope's is closed). At Chope's you enter the realm of world-class roadfood (not the gourmet kind of Mexican food found at Rick Bayless' restaurants in Chicago). It is no longer a question at Chope's of whether certain items are good, it becomes a matter of whether they are the best. I get discouraged sometimes because the salsa at Chope's may not be as good as at some restaurants in Las Cruces, the green chile may not be as fresh some times of the year as at harvest season, or some of the dishes may not live up to what I consider the signature dishes: the chile relleno and the green enchilada (both made with locally grown chiles). At other restaurants, however, I would hope to find just one outstanding dish, while Chope's has so many excellent ones that any minor disappointments really become insignificant. If Chope's is known for anything it is the Chile Relleno that somehow seems different from those served anywhere else. Of course the freshness comes from its local source in the Mesilla Valley. While the Hatch chiles, grown north of Las Cruces, have become famous worldwide, there is actually quite a large variety of chiles grown in both the Hatch and Mesilla Valleys that include the milder Anaheims that are largely exported and the more spicy varieties that are popular locally. Chope's serves a somewhat flat shaped chile that is quite spicy compared to many of the long skinny ones that are more common throughout the country. While being more spicy does not necessarily make a chile better quality, I do think this is an important criterion for a New Mexico style restaurant. 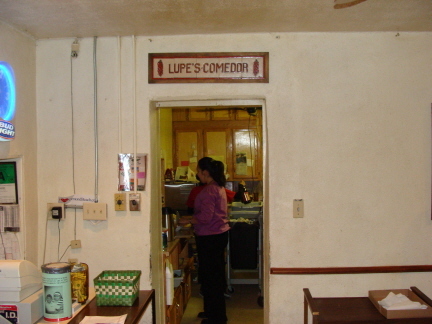 It is also important for the chile to be roasted and prepared properly, as are the ones served at Chope's. I have always been impressed that Chope's does not put a sauce on top. 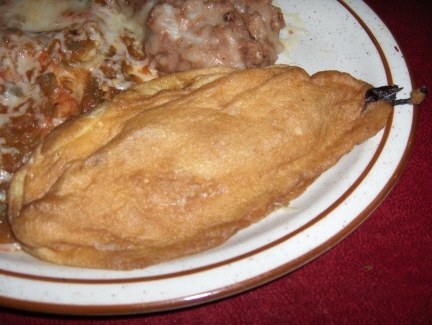 The relleno really does not need to have any type of sauce, since the chile, the cheese inside, and the perfectly cooked batter stand by themselves and provide all the flavor needed for an excellent chile relleno. The Green Enchiladas are some of the best found anywhere. While many restaurants use a puréed green chile to pour on top of the tortillas, Chope's uses large chunks of fresh chiles that demonstrate the texture and flavor of the green chiles that are used. A white cheese is used that is perfectly melted (and it looks as if some yellow cheese is also mixed in). Chiles come locally from the Mesilla Valley (from the Provencio Farm near Anthony), and are at their freshest around harvest season. Green enchiladas are the spiciest item served at Chope's, but since about 2007 I have found them to be slightly less spicy than they were up to that point. They still rate five chiles on my "chile index," but I have not found them to be at the level found in many northern New Mexico restaurants. Around the beginning of August postings appear on the Internet asking about the availablity of freshly harvested Hatch chiles in various cities around the United States. Locally, though, fresh green chiles are available from late May to the end of September, and this is when I prefer the green enchiladas over the red ones at Chope's. 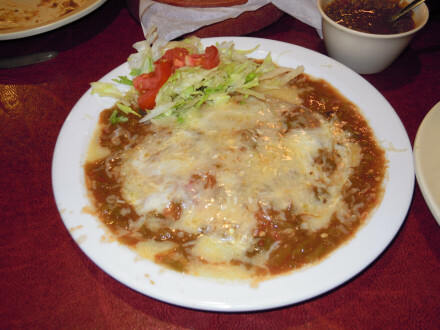 Since I first tried red enchiladas in the days of my youth when I was able to eat them at La Posta, the Pink Adobe in Santa Fe, and other New Mexico restaurants, they have been my preference over the green enchiladas whenever I eat New Mexican cuisine. I make an exception at Chope's during the chile harvest season so I can enjoy the fresh green chile, but I will have to say that Chope's has very good red chile anytime during the year. Many other places seem to either use too many additives, purée the chile too much, or use chiles of lesser quality that do not yield the same results as at Chope's. This is why I think both the green and red enchiladas are better than at most other restaurants. In fact, I think the chile used at Chope's is as good as any I have tried in northern New Mexico (although because of the fact that Chope's does not offer blue corn tortillas, I cannot say these are the best enchiladas in New Mexico). I have to report, though, that my experiences with Red Enchiladas at Chope's have not been consistent. I normally try to offset the chile effects by ordering an egg on top, but I have recently seen the red chile get milder to the point that no mitigating measures are really necessary. The flavor is good, and the care the restaurant takes to make the chile fresh every day is evident. Two factors seem to be going on, though. I think Chope's has made a decision to make the red chile milder than the green, while before it really depended on the chile crop, and either the red or green could be very spicy. Along with this change in the capsaicin scale, though, I noticed a change in flavor at first, but now I think the quality of the chile is back to previous levels while the spiciness is not. In my opinion milder red enchiladas can be just as enjoyable as the hot ones, as I have found them to be at Chope's on the last few visits. 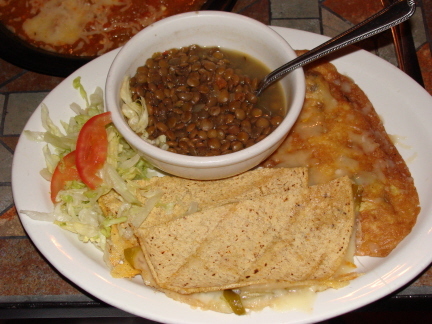 For some reason the New Mexican restaurants in the southern part of the state prefer Refried Beans, such as the ones served at Chope's, to the whole beans that are normally found in the north. I do not usually pay much attention to beans that are not northern style, but the ones at Chope's are cooked so perfectly that I think they are almost as good as the whole beans. The Chips are so nondescript I can barely remember them well enough well enough to write a review when I get home. I think, though, that they are so typical of the way chips should be prepared that it is the lack of any apparent flaws that make them not stick out in my mind. The Salsa is another item that has undergone a transformation since about 2007, and I think very much for the better. It used to be memorable for being so spicy it almost numbed the taste buds before you even got a chance to try any of the delicious main dishes. Now, though, I think it retains the freshness it had before, but with a heightened flavor that I enjoy a lot more. The spiciness is variable, and sometimes it almost gets to the point of numbing the mouth, but the excellent flavor is more noticeable than the heat. Sopapillas are light and fluffy, and are a recommended enhancement to the meal, providing a soothing effect to the mouth that counteracts the spicy chile. The green enchiladas are hot enough that I probably would not attempt to eat them without the relief of a sopapilla and honey interspersed between bites of the hot chile (although an egg on top of the enchiladas does provide some soothing effects). 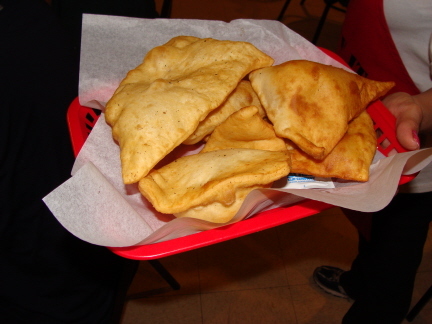 Many patrons order a sopapilla for dessert, but I prefer it with the meal (northern New Mexico style). In the past the sopapillas have been rather greasy, but recently they have been perfect, and worth ordering even if you think your stomach cannot handle any more food. What is now Chope's Bar was the original restaurant, and is located next door to Chope's Cafe. The bar serves the same food as the restaurant, and this can be a great help during the times that the restaurant is full and you have to get on a waiting list for a table. 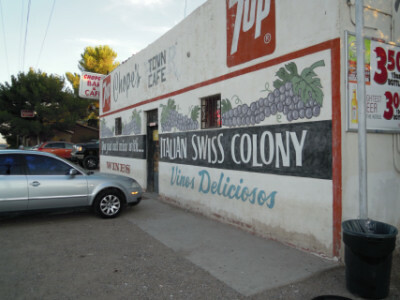 In fact, I think one of the major drawbacks of this place is having to drive for miles deep into the heart of the Mesilla Valley farm country and not knowing if you will face a long wait once you arrive (Chope's does not take reservations, but I'm sure they will fill you in on the estimated wait time if you call ahead of time). The restaurant itself is in an old house, and has what I would describe as a somewhat crowded dining arrangement. 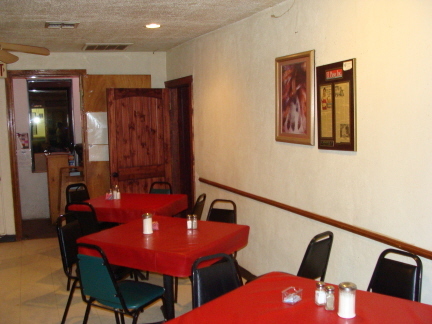 The main dining room is adjacent to the kitchen and is small, noisy, and busy, but also tends to be very friendly where it is easy to talk to the staff and other patrons. The larger dining room is quieter and provides slightly more space between tables, but they are still rather crowded. The restaurant is open only until 1:30 p.m. for lunch, but the 8:30 p.m. closing time at dinner should give most diners enough time to reach La Mesa and wait for a table if necessary. I sometimes have to look hard to find drawbacks to eating at Chope's, but I have thought the enchiladas were too heavily saturated in corn oil. On my most recent visit, though, I was waiting for this unpleasant aftertaste to appear after my perfect (or close to it) meal, and it never did. My conclusion, then, is that either Chope's has found a way to reduce the amount of corn oil used or part of the "home cooking" style that Chope's uses is that the food will vary from one experience to another. I do think that many of the complaints I occasionally have about Chope's are because my expectations are so high. In case you find extremely spicy food to be a drawback, I believe Chope's is now less of a problem than before (in fact, I used to find it too spicy even for my taste). The green and red enchiladas are now less spicy than before (I would say up to about 2007), and the chile relleno is not particularly spicy. It is still spicy enough, though, to have a great flavor of New Mexico chiles. One of my preferences is to order items individually rather than on combination plates. The prices are not high and meals are affordable, even if I end up with too much food. Enchiladas on combination plates are usually rolled instead of flat, and they sometimes make other modifications that make the food come out in a way that is not to my preference (such as spilling chile on top of the relleno when I like it with no chile on top). Some of the best bargains are available on the lunch specials, but choices are limited. The dinner menu, though, has some of the most reasonable prices in the Las Cruces area. My experience is that the most worthwhile items to order are green enchiladas from May to September, red enchiladas the rest of the year, and the chile relleno any time. The rice and beans are not exceptional, but the beans help counteract the hot chile (but a sopapilla with the meal is better). 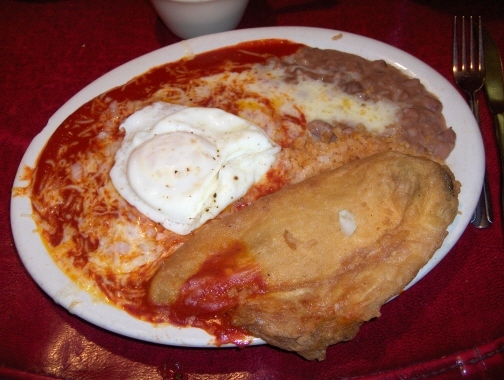 I do not like the enchiladas any better with an egg on top, but I sometimes order it for variety. Coming from El Paso, La Mesa can be reached from IH-10 by taking the Vado exit (NM 227) and going west to Vado. You then turn left on NM 478 and go south less than a quarter mile, where NM 227 again goes to the west (there are few if any signs that give directions). From Vado you should follow NM 227, and keep going straight after it turns into NM 28. Once you are on Hwy 28 La Mesa is the next town. 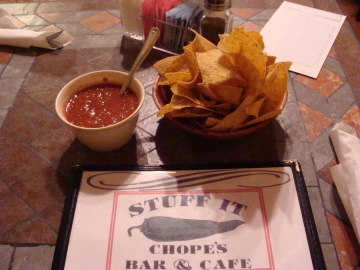 From Las Cruces or Mesilla it is easy to reach Chope's-- just take NM 28 south. Chope's, like many other Mexican restaurants in the area, offers specials on Fridays during Lent that are appropriate for the season. Chope's not only offers food that is not normally on the menu, but it comes at a very good price (and the special with a relleno offers the item I would most like to order anyway). The plate pictured includes Quesadillas that were made the traditional way I have experienced them in home style restaurants in the borderland. The Chile Relleno was as good as ever, but I do not know if the large amount of cheese sprinkled on top was the way Chope's is preparing it now, or if this was only for the Lent special. The Lentils were excellent, with less salt and garlic than I usually find in the ones served in El Paso (and to me the ones at Chope's are better). Capirotada is also served with the Lent special but they were out when I went. Still, this was an excellent deal. 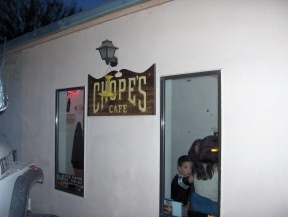 There are two "Chopes"--a restaurant and a bar (the bar is north of the restaurant). Both serve the same food. In my opinion the restaurant is better for families or if you want to hold a conversation (it is a lot quieter). Chope's wife sold the restaurant in 2007. Since that time I have noticed some changes in the food. In my opinion the enchiladas are less spicy and probably better for the large numbers of tourists who come to the restaurant (but I think the red enchiladas are not as good now). I think the chile relleno is just as good as before. In my opinion the salsa is better than before. The last time I checked lunch was from about 11:30 until 1:00 PM. Diner was about 5:30 until 8:30. Since the restaurant is a good distance from Las Cruces or Interstate 10, it is a good idea to allow at least 15 or 20 minutes of travel time from either of these locations when trying to get here before closing time. Fresh green chiles seem to be available here for a longer time than at other restaurants because they have found some good local sources. This is roughly from late July until early October. When the green chile is fresh (and the servers will tell you when this is the case), I would definitely order green instead of red. Sopaipillas have to be ordered separately. I would highly recommend ordering some both with the meal (if the meal is spicy), and for dessert if you so desire. Hours: Closed Sun. & Mon.